“Memorabilia” is a relatively successful attempt at marrying convoluted comic-book physics with emotionally resonant storytelling. The workings of Sherloque’s Memory Machine may not be quite as sophisticated as those in Inception, but it’s still the sort of thing that the show wouldn’t have been able to pull of early in its run. We needed a foundation of metahumans, time travel, alternate universes, and Thinker-y mind machinations in order to accept and easily process all the ins and outs of this particular plot device. The idea is to enter the comatose Grace’s mind and move her memories to another part of her brain, thus allowing her to wake up. Or I don’t know, something like that. Sherloque advises Barry and Nora to undertake this task together for safety reasons, but Nora is wary of this plan because there’s a very good chance her father will catch a glimpse of her memories and realize she’s been working with Eobard Thawne. She grabs the opportunity to go in alone and finds herself in Grace’s memory of being at CCPD headquarters following the death of her parents. Grace’s brain perceives Nora as a threatening pathogen and activates defenses against her, including sealing off her escape portal. That means Barry and Iris have to enter Nora’s mind in hopes of finding the portal into Grace’s memories and rescuing Nora. 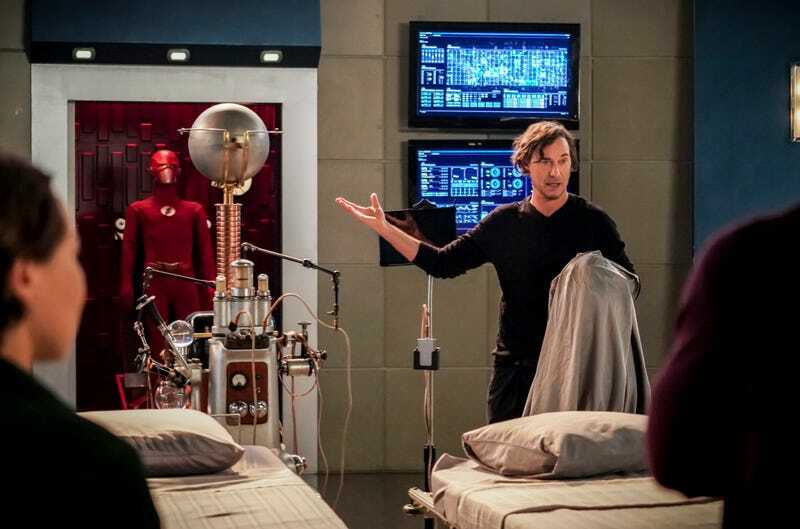 This gives us an extended look at the Flash Museum, housed in the former STAR Labs. where future young Nora has a memory of future older Iris yelling at her. (This is much more confusing to explain than it is to watch it play out, believe me.) What makes this mind-journey even more interesting is that the outside invaders are also able to visit false memories, which is where the exit portals are hidden. The case could be made that all memories are false in some way, especially ones from childhood, since what we’re really remembering is the last time we remembered something from a time before our minds were truly developed...but it’s probably asking a little too much of a weekly superhero show to delve too deeply into the topic. In any case, Grace also has a false memory, which is of an idyllic morning spent with Uncle Orlin, planning a perfect day together. (Our first clue that this may not have happened strictly as Grace recalls it is the towering stacks of pancakes and waffles on the breakfast table.) She has more recent memories than that, however, as Nora soon learns Grace is at least somewhat conscious in her comatose state. She is aware of Cicada’s existence and thinks her uncle is a hero for all his meta-killing. 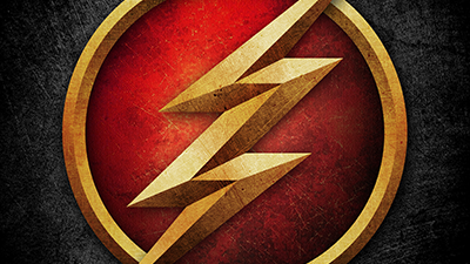 It makes sense that a kid whose parents were killed by metas and who is now in coma thanks to the actions of metas would not be a huge fan of them—and that includes Nora once Grace deduces she’s the Flash’s daughter. Nora’s brain defenses also activate, taking the form of a Reverse-Flash uniform in the museum. It’s a bit of a bait-and-switch: all along Nora’s fear has been that Barry and Iris will learn of her involvement with Thawne, but they don’t pick up on this clue at all. (Once they are all back in the real world, however, Sherloque quickly tumbles to it.) What would have been a break in trust between Nora and her parents instead draws them closer: Barry sees the young version of his daughter he might otherwise have missed out on, while Iris learns her future self is not the ogre Nora’s subconscious conjured to protect her from more parental heartbreak. The other ongoing subplot involves Cisco’s search for the meta-cure, which goes on the back burner when Ralph invites him along to vibe an informant who may be able to help them find Cicada. (No such luck, though he could probably help them avoid the awful band Sickada’s next gig.) Cisco figures out it’s a setup but misreads Ralph’s intentions: he’s not Ralph’s wingman, it’s the other way around. Their scenes together are a reminder that not every interaction between the characters has to be a pep talk or a lecture (though there’s a bit of that here, too); sometimes it’s enjoyable to just watch them hang out. The two plotlines collide once the West-Allens make their getaway from the mindscape and Barry informs Cisco he plans to use the meta-cure on Cicada. This will no doubt kick off another round of Superhero Ethics 101, since that would be a precedent it would be hard to walk back, and Caitlin and Cisco have already agreed the cure should never be used on anyone against their will. For now, there’s one thing certain about the future: there’s no wing in the Flash Museum dedicated to the team’s biggest flaw—its members’ tendency to withhold crucial information from their teammates. At least, if there is such a wing, we know Nora hasn’t visited it. Sherloque had previously used the Memory Machine on Jervis Tetch, the Mad Hatter of Earth-221. That got me wondering how many classic Batman villains will be fair game for Batwoman, should it get picked up as a series—especially with Gotham winding down its run. Loved Barry getting huffy about the fact that the villains have their own wing in the Flash Museum. The Rogues Gallery has always been one of the biggest draws in Flash lore, after all.